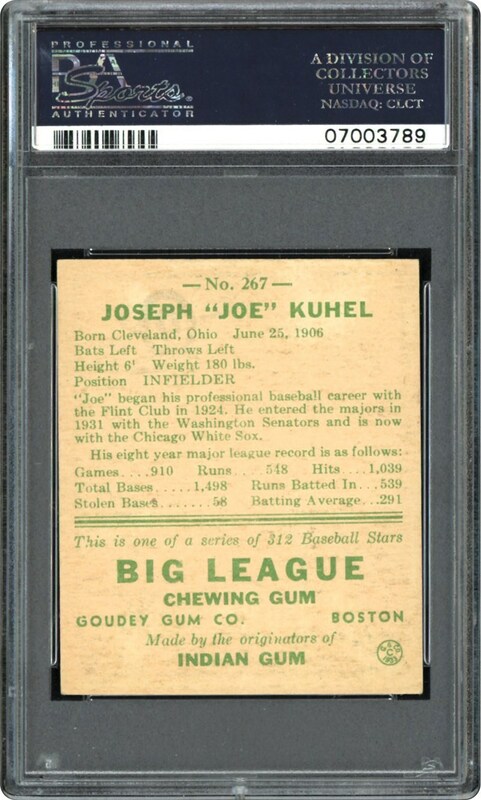 This magnificent PSA NM/MT 8 Joe Kuhel 1938 Goudey offering shares the title with nine other examples as the finest of its kind! 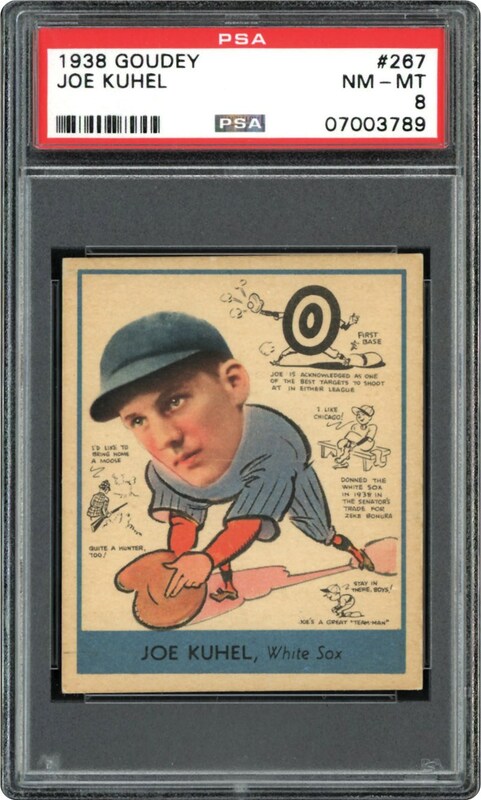 The breathtaking image is extremely well centered within a bold blue outer frame, and the gleaming surfaces are super clean. A slight upper edge angle cut does not impede the awe-inspiring eye appeal that elevates this cardboard gem to world-class stature!